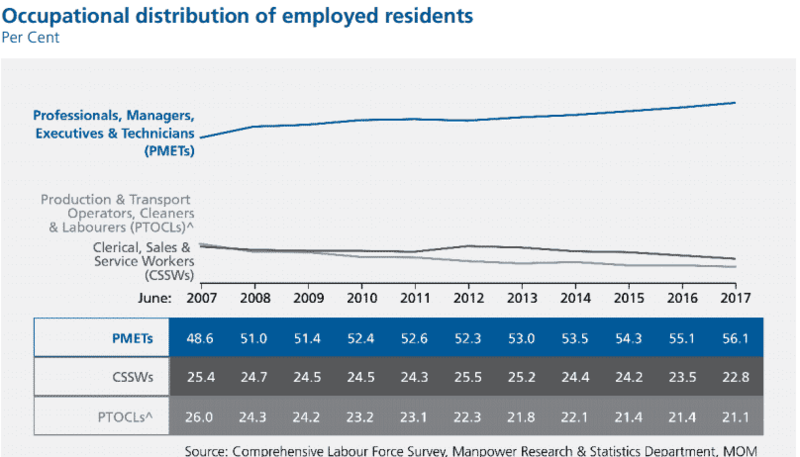 The Ministry of Manpower (MOM) just published its Labour Force in Singapore Advance Release 2017 showing key trends of the resident labour force in Singapore. Here are 3 important takeaways from the 43-page report that we should be warned to prepare for. If you are below 43 years, you’re younger than half the resident workforce! 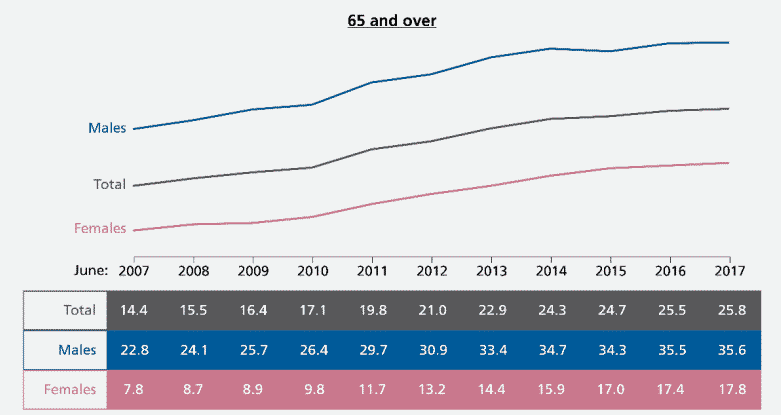 The percentage of mature workers 65 years old and over is also increasing! Can you imagine doing the same job you’re doing now when you’re 65? If not, what can you do now to avoid this situation? Is it too mundane, back-breaking, uninspiring or just physically-unsuitable? What kinds of industries and jobs would want to hire mature workers? How should employers value mature workers over fresh entrants and develop appropriate payscales to appreciate their value? The most important question of all: are we actively preparing for our next career by learning new skills before we lose our jobs? With more than 56.1% of the resident workforce being PMETs, who is looking after their interests? If you were to ask your friends how many of them join their company’s union, would more than half say yes they are union members? If they aren’t union members and they face issues at work, would they have the courage to speak up singly to negotiate for better employment terms and conditions? 3. Where is the data on independent or freelance workers? The report does not have enough data on independent or freelance workers, which MOM has separately estimated to be 300,500 or 14% of the workforce, with over 93% of them in the services industry, particularly in the transportation and storage sectors. 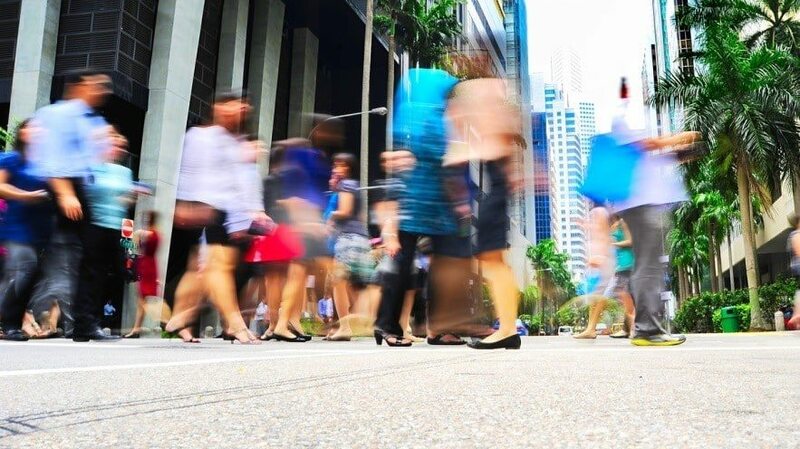 Whilst the government has teamed up with the Labour Movement and employer representatives to study freelancer concerns in a tripartite workgroup, there are many issues it already needs to start tackling. For example, Labour MP Ang Hin Kee has raised issues of late payment, lack of dispute resolution channe, insurance coverage and even retirement adequacy. Whilst the Tripartite Standards on Procurement of Services from Media Freelancers was just launched in November 2017 and could possibly cover over 40,000 media freelancers, there are another 260,500 freelancers who struggle with lack of representation and protection. If we don’t address these 3 warnings in advance, what do you think will happen next?